GET OUT OF THE DIRT! 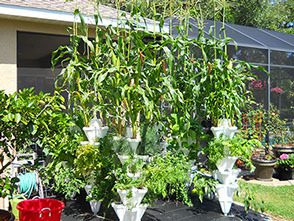 Hydro-Stacker™ is our patented hydroponic vertical gardening system, made in the USA! 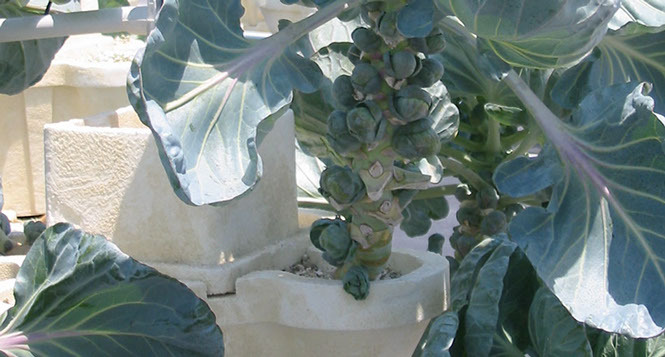 Using Hydro-Stackers you can increase your fruit and vegetable yield while decreasing the garden space needed. 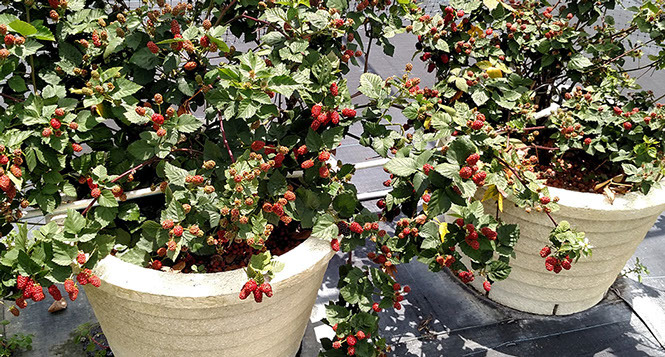 Grow strawberries, tomatoes, herbs, just about any plant from your garden while using just a few square feet. 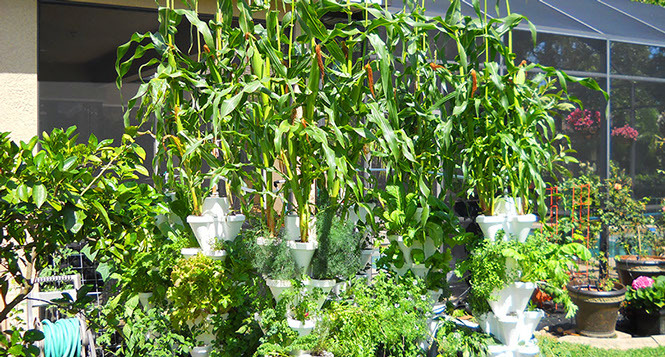 Our automated systems do all the watering for you, requiring less effort to get your garden growing. Hydro-Stacker is currently operating in large farms with more than 50,000 plants as well as home users with just a single-stack manual. 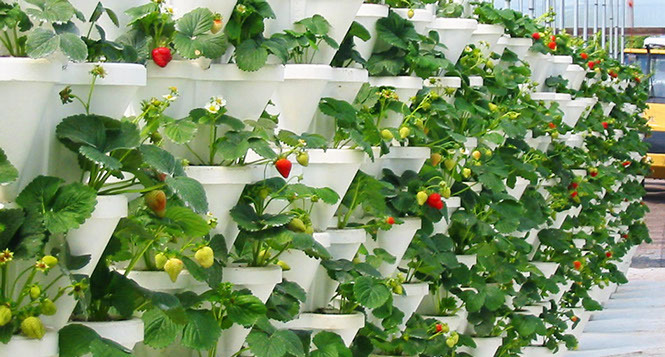 You won't find a better way to hydroponically grow strawberries, lettuce, tomatoes, cabbage, spinach, peas, basil, dill, or any of the other hundreds of plants that love to grow in our Hydro-Stacker system! Click to see how Hydro-Stacker compares to the others. 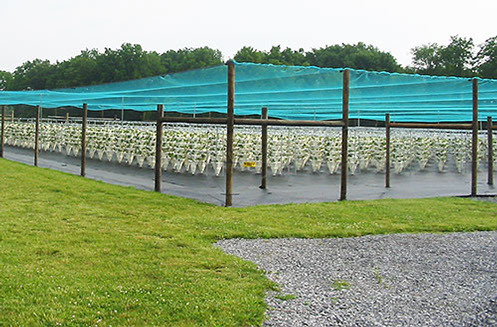 Our manual growing systems keep you involved in the plant life cycle by you determining the watering schedule. Or pick an electric unit which includes a pump and timer (you will need to get your own reservoir, a 55-gallon drum works great) for worry-free growing. Just fill the reservoir up as needed (about once every two weeks), and let the sun do all the work. 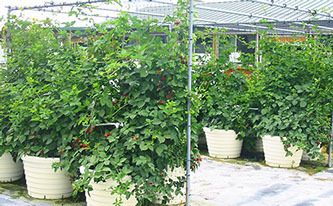 Virtually any plant that can be grown in soil can be grown in a Hydro-Stacker unit (obviously large plants like trees won't fare well). 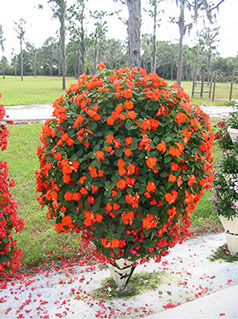 Pick up a couple of manual units for the corners of your driveway, flowers will grow so large they will look like shrubs! Are you looking to increase your yields without changing the size of your farm? 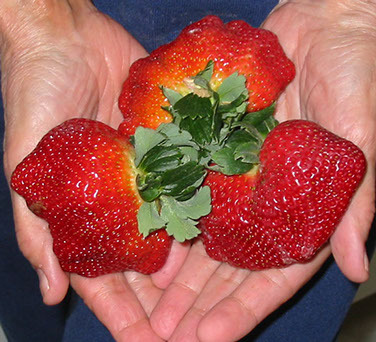 Do you want to start a U-Pick garden, letting your customers harvest their own fruits and vegetables? Are you tired of dealing with all that dirt and chemical fertilizer? Hydro-Stacker can custom design and build a system for you utilizing your existing farm space for maximum potential yield. Installing the Hydro-Stacker system is a fast and easy way to see your crop yield and potentially your financial return increase dramatically. Hydro-Stacker has successfully been installed in hundreds of commercial farms, ranging in size from 15,000 plants to over 1 MILLION plants! Contact Hydro-Stacker today for your free, no obligation quote. Would you like to teach your students about the growing cycle of plants? Is your lab space limited? 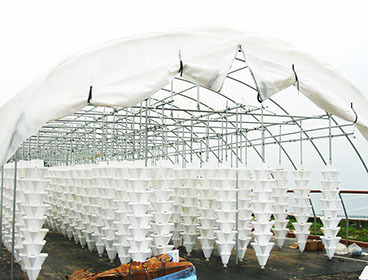 The Hydro-Stacker vertical hydroponic growing unit is the perfect answer. Hydro-Stacker will design your system and help you and your class install it. 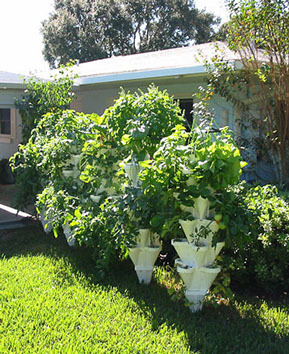 We already teach hydroponic methods at several schools and have gotten positive feedback from everyone involved.